Monkeys implanted with neurons derived from stem cells showed sustained improvement after two years. A depletion of brain cells that produce dopamine is responsible for the mobility problems seen in people with Parkinson’s disease. Japanese researchers report promising results from an experimental therapy for Parkinson’s disease that involves implanting neurons made from ‘reprogrammed’ stem cells into the brain. A trial conducted in monkeys with a version of the disease showed that the treatment improved their symptoms and seemed to be safe, according to a report published on 30 August in Nature1. The study’s key finding — that the implanted cells survived in the brain for at least two years without causing any dangerous effects in the body — provides a major boost to researchers’ hopes of testing stem-cell treatments for Parkinson’s in humans, say scientists. Jun Takahashi, a stem-cell scientist at Kyoto University in Japan who led the study, says that his team plans to begin transplanting neurons made from induced pluripotent stem (iPS) cells into people with Parkinson’s in clinical trials soon. The research is also likely to inform several other groups worldwide that are testing different approaches to treating Parkinson’s using stem cells, with trials also slated to begin soon. Nature breaks down the latest research — and what it means for the future of stem-cell treatments. Why are stem cells a promising treatment for Parkinson’s disease? Parkinson’s is a neurodegenerative condition caused by the death of cells called dopaminergic neurons, which make a neurotransmitter called dopamine in certain areas of the brain. Because dopamine-producing brain cells are involved in movement, people with the condition experience characteristic tremors and stiff muscles. Current treatments address symptoms of the disease but not the underlying cause. Researchers have pursued the idea that pluripotent stem cells, which can form any cell type in the body, could replace dead dopamine-making neurons in people with Parkinson’s, and thus potentially halt or even reverse disease progression. Embryonic stem cells, derived from human embryos, have this capacity, but they have been the subject of ethical debates. Induced pluripotent stem (iPS) cells, which are made by coaxing adult cells into an embryonic-like state, have the same versatility without the associated ethical concerns. What did the latest study find? Takahashi’s team transformed iPS cells derived from both healthy people and those with Parkinson’s into dopamine-producing neurons. They then transplanted these cells into macaque monkeys with a form of the disease induced by a neuron-killing toxin. The transplanted brain cells survived for at least two years and formed connections with the monkey’s brain cells, potentially explaining why the monkeys treated with cells began moving around their cages more frequently. Why is the research important? Crucially, Takahashi’s team found no sign that the transplanted cells had developed into tumours — a key concern with treatments that involve pluripotent cells — or that they evoked an immune response that couldn’t be controlled with immune-suppressing drugs. “It’s addressing a set of critical issues that need to be investigated before one can, with confidence, move to using the cells in humans,” says Anders Bjorklund, a neuroscientist at Lund University in Sweden. When will clinical trials begin and how will they work? “I hope we can begin a clinical trial by the end of next year,” says Takahashi. Such a trial would be the first iPS cell trial for Parkinson’s. In 2014, a Japanese woman in her 70s became the first person to receive cells derived from iPS cells, to treat her macular degeneration. In theory, iPS cells could be tailor-made for individual patients, which would eliminate the need to use drugs that suppress a possible immune response to foreign tissues. But customized iPS cells are expensive to make and can take a couple months to derive and grow, Takahashi notes. So his team instead plans to establish iPS cell lines from healthy people and then use immune cell biomarkers to match them to people with Parkinson’s in the hope of minimizing the immune response (and therefore the need for drugs to blunt the attack). In a study described in an accompanying paper in Nature Communications2, Takahashi’s team implanted into monkeys iPS-cell-derived neurons from different macaques. They found that transplants between monkeys carrying similar white blood cell markers triggered a muted immune reaction. What other stem-cell approaches are being tested for Parkinson’s? Earlier this year, Chinese researchers began a Parkinson’s trial that used a different approach: giving patients neural-precursor cells made from embryonic stem cells, which are intended to develop into mature dopamine-producing neurons. A year earlier, in a separate trial, patients in Australia received similar cells. But some researchers have expressed concerns that the immature transplanted cells could develop tumour-causing mutations. Meanwhile, researchers who are part of a Parkinson’s stem-cell therapy consortium called GForce-PD, of which Takahashi’s team is a member, are set to bring still other approaches to the clinic. Teams in the United States, Sweden and the United Kingdom are all planning trials to transplant dopamine-producing neurons made from embryonic stem cells into humans. Previously established lines of embryonic stem cells have the benefit that they are well studied and can be grown in large quantities, and so all trial participants can receive a standardized treatment, notes Bjorklund, also a consortium member. 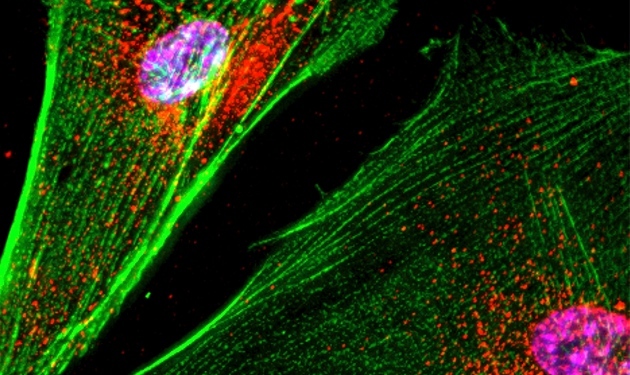 Jeanne Loring, a stem-cell scientist at the Scripps Research Institute in La Jolla, California, favours transplanting iPS-derived neurons made from a patient’s own cells. Although expensive, this approach avoids dangerous immunosuppressive drugs, she says. And because iPS cells are established anew for each patient, the lines go through relatively few cell divisions, minimizing the risk that they will develop tumour-causing mutations. Loring hopes to begin her team’s trial in 2019. “This shouldn’t be a race and we’re cheering for success by all,” she says. Lorenz Studer, a stem-cell scientist at the Memorial Sloan Kettering Cancer Center in New York City who is working on a trial that will use neurons made from embryonic stem cells, says that there are still issues to work out, such as the number of cells needed in each transplant procedure. But he says that the latest study is “a sign that we are ready to move forward”.